On occasion, bank feeds encounter errors that are beyond our control. This is not commonplace, but unfortunately, they do happen! This is why PocketSmith has a dedicated team to diagnose and address these issues 😇 In many cases, the errors are temporary, but persistent errors do sometimes occur and require investigation by our bank feed provider, Yodlee. How long does it take to resolve an error? The bank feeds are generally stable and reliable, however, our bank feed provider ( Yodlee) supports a vast number of institutions globally, and there may be connectivity issues from time to time. Many of these are temporary, but some require investigation in order to resolve them. These are often temporary (~24 hours) errors which will disappear if you wait for 5-10 minutes and then try syncing the bank feed again. However, if they persist, please contact PocketSmith support and let us know which bank feeds are experiencing issues. If you do not have any account/s of this type, feel free to click "Remove bank feed" to clear the error. If you do have an account for this account type, please try re-syncing the bank feed first to make sure that the error isn't temporary. To do this, click the "i" icon to the right of the Ignore this feed type link and click Attempt sync in the popup. If this doesn't work, get in touch with PocketSmith support and attaching a screenshot showing the account listing from your online banking website. This bank feed is still in development by our bank feed provider. When constructing a new bank feed, it is put through a beta test stage, during which users will probably not be able to make a successful connection. Please contact PocketSmith support to let us know that you would like to use this bank feed - we will inform Yodlee that another user is requesting full development. Errors of this variety generally mean that the banking credentials have been entered incorrectly. Enter your credentials again very carefully, making sure you have included all the correct capitalisations, special characters, etc. Occasionally, the browser may try to auto-fill the information, or a password vault application (e.g. 1Password or LastPass) will interfere, so disable these while on PocketSmith if possible. If you are certain that the entered credentials are correct, make sure that you're also able to log in with the same details at our supported URL. Check if the login process or your online banking website has changed - there may be a new URL, or a new layout to the website which is causing the error. If there have been any website changes, please let the PocketSmith support team know. If you are still experiencing a 402 error, even after all the above checks, please get in in touch with the PocketSmith support team so that they can begin the investigation process. 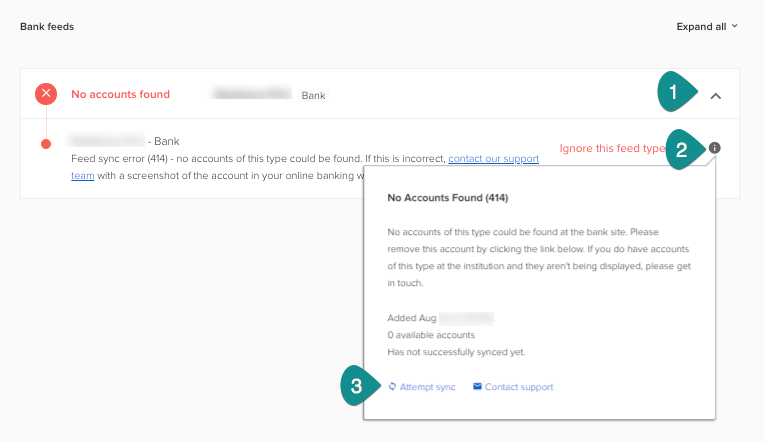 These errors are usually caused when a bank requires the user to view marketing information or verify details upon logging in to their website. Log in to your online banking website and navigate to each of your transaction listings. If there are any messages from the bank, please check and attend to any necessary requests. Once this is done, return to PocketSmith and sync the bank feeds manually. If there are still errors, please inform the PocketSmith support team for further investigation. This error occurs if you have been locked out of your online banking. You will need to contact your bank directly to unlock your online banking. Once access has been restored, update the credentials for the bank feed in PocketSmith. This error indicates that your password for your online banking has expired. 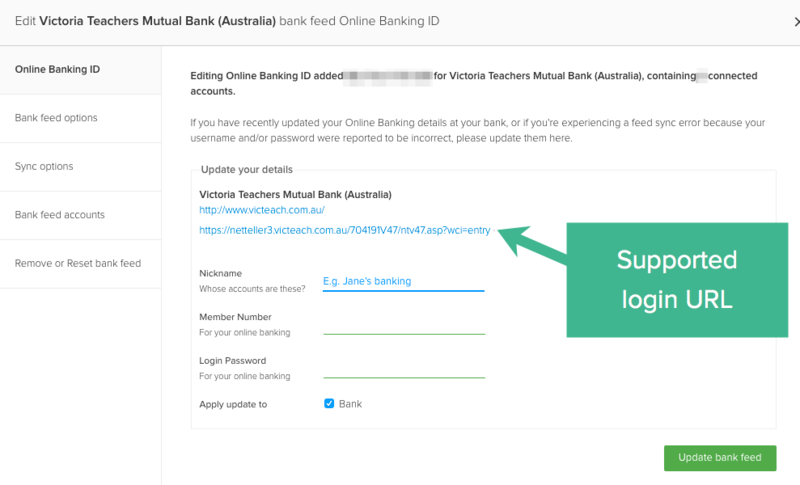 You will need to log in to your online banking website to update the password, then return to PocketSmith and update the credentials for your bank feed in PocketSmith. This error indicates that you were logged into your online banking at the same moment your bank feed in PocketSmith also attempted to refresh. For this reason, we recommend that users are not logged in to any banking websites when they log in to PocketSmith. Bank feeds that require MFA (Multi-Factor Authentication) generally allow up to 120 seconds for the requested information to be entered. This may be sent or generated by text messages, emails, graphic display or netguard devices. These errors indicate that the security information was incorrect or was not entered in the time available. Re-sync the bank feed and try again. Contact PocketSmith support if there are still issues. These are usually temporary issues that are caused by syncs taking longer to complete than expected (over 5 minutes). A 508 error will often resolve itself after 15 minutes but it sometimes needs a bit of a push to remove it! This is because the account, in most cases, has been able to sync in the background, but it is still "stuck" in error mode. To check whether the account has been able to sync and to clear the 508 error, click the Account Status button. This button checks to see the latest status from Yodlee and will clear the error if the account has in fact been able to successfully sync. If you still see a 508 error after this, please get in touch. After you have contacted PocketSmith support, we ask you to leave the bank feeds reported in place so that we can investigate the problem. Please do not delete the affected bank feed - errors and all! Yodlee's investigations are held up if any of the above occur. Other than this, you are able to continue using PocketSmith as normal. If you need to have recent transactions available in PocketSmith, you can still import bank files into your PocketSmith account. While Yodlee investigate the issue you can manually upload bank files.